April 27, 2017 was a great day for Anne Wojcicki and her team at 23andMe. The FDA announced that it had reversed its earlier ban one the company’s direct-to-consumer genetic health screening services. That 2013 ban had severely limited 23andMe’s health testing arm, forcing the company to focus on ancestry DNA testing where they have become on of the biggest names in the industry. When the moratorium lifted in 2017, they brought back their full health testing service priced at $169.00. 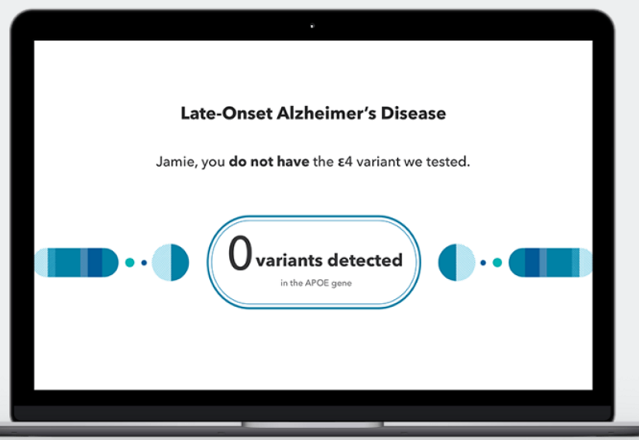 Customers can now receive reports detailing their genetic risk for Alzheimer’s, Parkinson’s, Alpha-1 Antitrypsin Deficiency and Thrombophilia. Earlier, 23AndMe could only provide raw DNA data, which was unhelpful for most people due to the complexity involved in analyzing it. Customers had to resort to genetic experts or third party analysis tools to interpret the data into useful information. 23andMe is the most trusted name when it comes to genetic health screening. They have some of the best scientists who use rigorous science-backed processes to review your DNA. I especially love how comprehensive and user friendly their reporting is. In a study of its users, 23andMe found that 90% of customers could easily understand their health and ancestry reports. This was actually one of several reasons why the FDA revised their 2013 ruling. The customer experience is great and many 23andMe reviews from customers attest to that. The company provides plenty of assistance throughout the process beginning from when you buy the kit to when you sit down after several weeks to read the reports. As the FDA warned when it announced its reauthorization of direct-to-consumer genetic health testing and reporting, don’t take the results as the be-all and end-all of your overall health. There are many factors that can influence your health aside from your DNA. The company itself notes that the test is not meant as a diagnosis for an illness or a basis for major health decisions such as surgery. It is simply an informative tool. With that in mind, let’s take a deeper dive into the various features of 23andMe’s genetic health testing service with the following in-depth 23andMe review. You already know that DNA plays a significant role in your health. 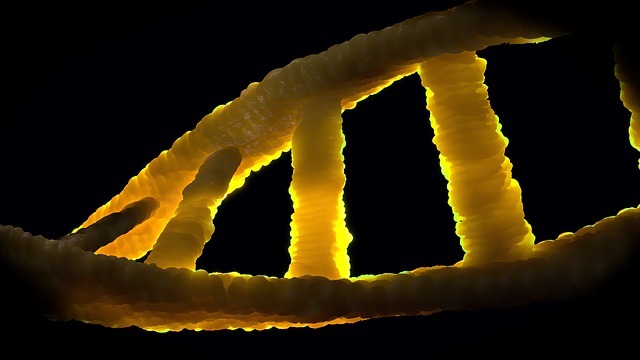 Mutations inherited from your parents increase your risk to various health issues such as Alzheimer’s, Parkinson’s and even some forms of cancer. This is the most common form of dementia affecting older individuals. Common symptoms include memory loss, a decline in intellectual capacity, poor judgment and increased confusion among other signs. Researchers are still investigating the role of genetics in the development of Alzheimer’s in the latter years. While environmental and lifestyle factors greatly influence the occurrence of this condition, scientists have associated certain gene mutations with an increased risk of Alzheimer’s. 23andMe tests for these mutations. Because of the emotional toil that a positive testing can cause, 23andMe offers customers the choice of blocking this test from their reports. Parkinson’s disease is best known for the hand tremors it causes especially in the early stages. It affects the nervous system, resulting in a progressive degeneration of movement. Stiffness and slower motion are common symptoms. As with Alzheimer’s, there is a complicated mix of environmental and genetic factors behind the development of Parkinson’s disease. Approximately 15% of Parkinson’s cases are inherited from family members, meaning genetics is a major factor. Mutations in certain genes have been shown to either cause or increase the risk of Parkinson’s. If you feel uncomfortable about viewing your 23andMe report in this area, you will be allowed to opt out. This is an inherited enzyme deficiency that may lead to liver disease and lung disease. The earliest symptoms include shortness of breath after a short period of mild activity, wheezing, inability to exercise and increased heart rate. The development of Alpa-1 has been traced back to a mutation in gene called SERPINA1. Experts at 23andMe look specifically for this mutation in your DNA to determine whether you are at risk. Thrombophilia is the body’s inability to properly carry out the clotting process. This increases the risk of the formation of blood clots within blood vessels, a condition known as thrombosis. Hereditary thrombophilia is caused by inherited mutations in various genes. When starting a family most parents-to-be think a lot about the physical traits they will pass on to their children. Will she be tall like me? Will he have hair like mine or will he look like his grandfather? But there are things far more dangerous that kids can inherit from their parents: genetic diseases. Most people don’t find out until it is too late that they inherited a health condition from their parents. 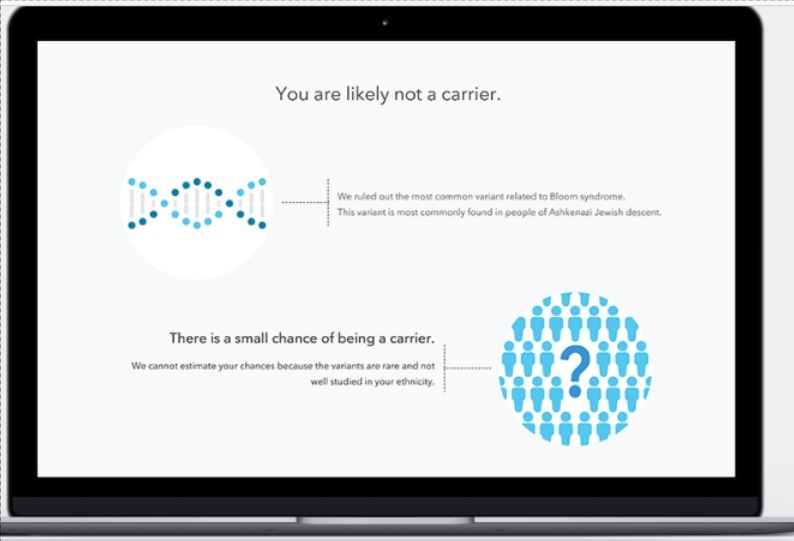 23andMe’s carrier status test predicts the likelihood of your kids suffering from a genetic disease. They test your DNA to determine your carrier status. Being a carrier means that you have a genetic variant (a change in DNA) for a certain condition even though you most likely do not suffer from the condition. For example, you could be a carrier for Sickle Cell Anemia but you are not suffering from it though you could pass it to your children. If your partner also has the genetic variant for Sickle Cell Anemia (i.e. he or she is also a carrier), the risk of your child getting inherited Sickle Cell Anemia rises to 25%. Combined with genetic counseling, the carrier status test can help you understand the risk your future child faces and what actions you can take. 23andMe provides more than 40 reports on carrier status. They tests for genetic variants for conditions like Sickle Cell Anemia, Cystic Fibrosis, Hereditary Hearing Loss, Canavan Disease and Salia Disease among others. You can see the full list of the conditions they tests for on their website. Our physical traits such as hair color, eye color, taste preferences and baldness are heavily influenced by genetics. By studying your DNA, 23andMe can explain how DNA has influenced your physical features and predict what physical traits you are likely to develop in the future. When it comes to your hair for instance, the DNA test can predict hair color, texture, curliness and baldness in males. For your face, the test can predict whether you will develop dimples or facial hair. If you have always wondered why you get so many freckles, your DNA report can provide some answers. The test can even explain your sweet tooth and your perception of bitter tastes. Overall, 23andMe detects more than 15 common traits. Have you ever wondered why your partner never seems to get his fill of coffee? Or why you move a lot at night? Or why your friend never gains weight no matter what? Genetics has a lot to do with your general wellness. A gene variant inherited from your parents could turn you into a deep sleeper or caffeine fanatic. Genetics also explain your lactose intolerance. 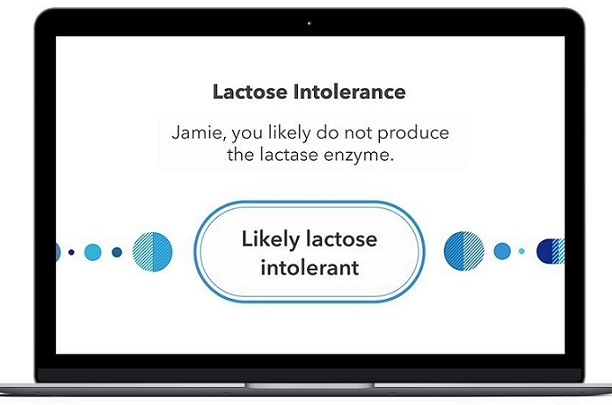 23andMe provides eight wellness reports covering areas like weight, lactose intolerance, Alcohol Flush Reaction and sleep habits. 23andMe has developed its DNA Ancestry testing into a massive operation, helping individuals trace their ancestry and allowing related people miles apart to reconnect. Even with stiff competition from older players in the genetic testing industry like AncestryDNA and Family Tree DNA, 23andMe is today of the top 4 providers of DNA ancestry testing services. 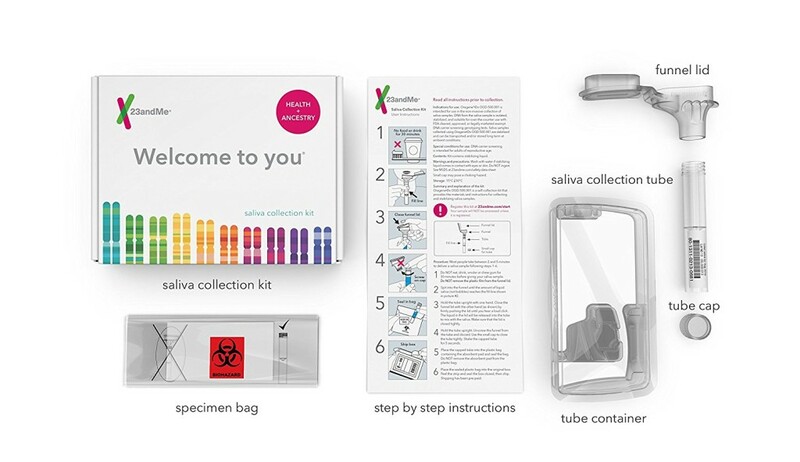 And now, 23andMe combines their unique health testing and ancestry testing into one package. Hence the high $199 price tag. If you are just interested in your ancestry, consider ordering the ancestry-only $99 package. Your ancestry composition. It tells you which parts of the world your DNA comes from. You might discover that you are part Korean, part Japanese and Part East African. 23andMe has a database of 31 populations from which DNA composition is referenced. Your ancestry as far back as 1,000 years. By identifying your haplogroup, 23andMe can trace your some of your ancestors far into the past. Men can trace their maternal and paternal lineage while women can only trace their ancestry on their mother’s side because they lack the Y chromosome. Neanderthal ancestry. The Neanderthals disappeared 40,000 to 45,000 years ago. Though they were a different species from humans, some of their DNA still exists. With the 23andMe DNA ancestry test, you can learn what amount of Neanderthal DNA you have and compare it to that of others. Family connections. 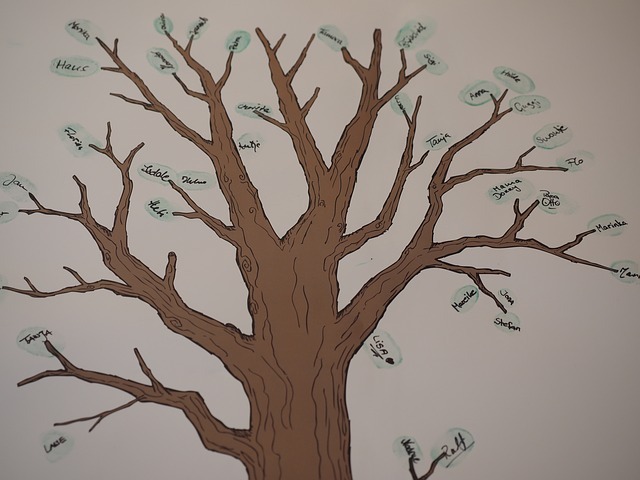 You can learn how many relatives you have and where they live around the world. 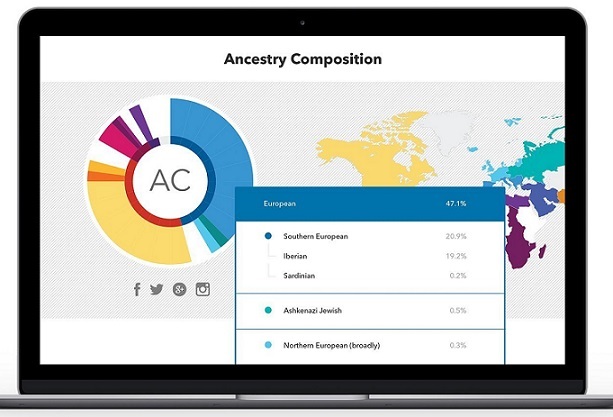 Read our in-depth review of 23andMe’s ancestry DNA test, to learn more about this part of the package. The whole process begins when you order the test Kit either from Amazon or the official website. It will arrive in three to five days. All you need to do is spit in the tube making sure you follow the provided instructions carefully. 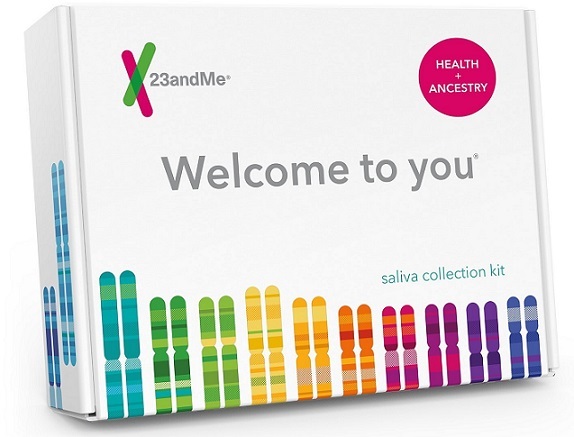 You’ll then need to go online and register the sample tube on 23andMe’s website. Using the pre-paid package, mail the sample back to the company for testing. When the sample gets to the company’s lab, the experts get to work extracting DNA cells from your saliva. They then study these cells through a process called genotyping. What they are looking for are gene variants. These variants are small differences that differentiate your DNA from that of another person. From your variants, exerts can learn your ancestry, your physical traits and risk towards certain inherited health conditions. Because they have to read hundreds of thousands of variants looking for different clues, 23andMe uses a special genotyping chip with DNA cells attached on it. The genotyping chip is a piece of technology that keeps on improving. So the company makes periodic updates to make sure they have the latest chip that can produce quicker and more reliable results. The latest update was in 2013. The chip is then decoded by a computer, which produces tons of raw data concerning your ancestry, traits, wellness and health. 23andMe double-checks the data to ensure its quality and then translates it into reports that are easy to read. Thanks to the recent FDA announcement, the company can now tell you which genetic health conditions you are at risk of. Earlier, it could only provide raw data without any interpretation. When your results are ready, an email will be sent to you with a link to an online account where you can study the test results. 23andMe are always on standby should you have any questions regarding the reports and what they mean for you. Here is a short video giving a behind the scenes look inside the lab where the testing takes place. Throughout the process, the company does a lot to maintain your privacy. Your genetic health information is not shared with third parties, not even employers or health insurance companies. This ensures no one can use the information to discriminate against you. Information about children and deceased individuals is kept confidential, too. While participating in research does not affect your privacy, you have the option of declining if you feel uncomfortable or you simply don’t want to participate. Our biggest issue with 23andMe’s genetic health screening is not so much about them specifically but about the whole direct-to-consumer genetic health testing industry. While providing consumers with information on their ancestry is mostly a harmless exercise in satisfying curiosities, genetic health testing is another matter altogether. As the FDA noted in its recent announcement, these direct-to-consumer genetic health reports (whether from 23andMe or any other company) should only be used for basic informational purposes. Since genetics are only a part of your general wellness, genetic health reports do not tell the whole story. Simply because you have a genetic variant for a condition such as Alzheimer’s does not mean that it is inevitable you will get it. On the other hand, being free of the same variant does not mean you can’t develop it. So, there is a danger of DNA health results giving people a false sense of security or leaving them excessively worried. This is why 23andMe gives customers the option of blocking Alzheimer’s and Parkinson’s genetic test results from the final health reports. For other serious conditions such as cancer and heart disease, 23andMe does not provide testing. Furthermore, the company warns against using the genetic reports to make major healthcare decisions. They highly recommend consulting your doctor or genetic counselor if you feel the need to take major steps. This is not to mean that this new information does not have a useful place in our lives. 23andMe says it provides this testing to help people make informed lifestyle decisions. For example, if you find that you are genetically predisposed to Late-Onset Alzheimer’s, you can take some simple steps to mitigate the risk such as exposing yourself to intellectual challenges. Ultimately, 23andMe is not the best tool if you are looking for a comprehensive understanding of the link between your genetics and health. Their health reports are still fairly limited in scope, partly because of FDA regulation constraints, and partly because genotyping technology is still developing. But it’s a really good and interesting start. In the coming years, we expect much more accurate and comprehensive DNA health screenings from 23AndMe and other entrants, now that the path is cleared. Perhaps we can get to a point where you can confidently order a genetic health test to decide if you should undergo a mastectomy. The 23andMe health + ancestry DNA test is available on Amazon.com for $169.00 and on the company’s website for the same price. Buying Tip: If you are an Amazon Prime member, then shipping is free. If you buy on the company’s main website, you’ll pay extra for shipping . One of the reasons why the health test kit is pricey is because it also includes the ancestry testing service. If you want to learn about your ethnicity, your familial history and where your ancestors came from, this test will tell you all that. One of the most interesting features of the ancestry test is the ancestry composition. It tells you from what parts of the world your DNA is from. 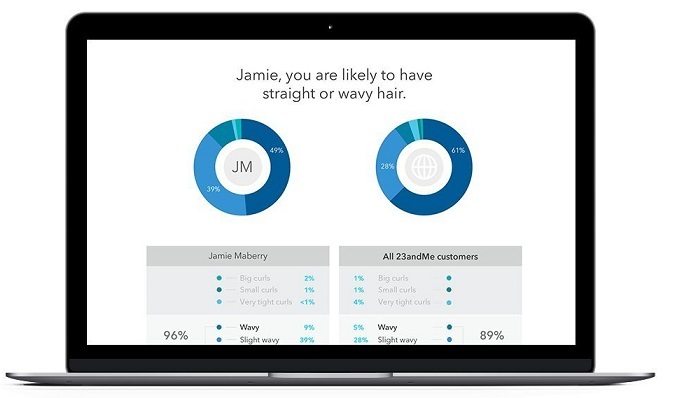 23andMe compares your DNA to the pure DNA of 31 populations they have in their database. They can then tell whether you have any European, German, Asian or African DNA in you. The final report breaks down your DNA constituents into percentages. For example you may be 99% European, 0.3 percent East Asian and 0.7% West African. This breakdown gives you a clear picture of the part of the world where your ancestors hail from. Many people also use 23andMe to find relatives. Since related people will have some similarities in their DNA, it is easy for 23andMe to find your relatives from their vast database of customer DNA. But you have to opt into their DNA Relatives finder to connect and message other people related to you. 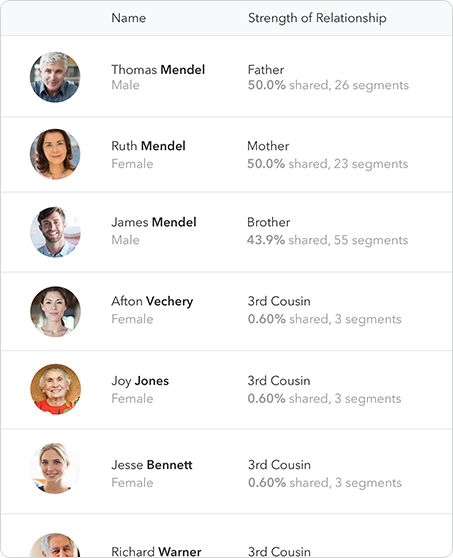 The DNA family tool begins with those closest to you (1st and second cousins), expands to third and fourth cousins and then 5th and distance cousins. The final group may number in the thousands. Whether you decide to contact them or not, seeing how you are physically linked to hundreds of other people in the world is awe-inspiring. Maybe you are not satisfied with just finding your family; you want to go deeper and further into the past. The good news is that 23andMe can help you with that too. They can identify your haplogroups, which can trace your ancestry over 1,000 years back. The only downside here is that only men can track both their maternal and paternal sides. Because women lack the Y chromosome, their haplogroups on their father’s side cannot be tracked. The only alternative is to genotype your father’s, his brother’s or your brother’s DNA and infer your paternal ancestry from them. Have you ever wondered whether maybe you carry DNA from the species that came before us? Probably not, but it’s still I’m sure you want to solve now that you think about it. 23andMe has yet another ancestry testing tool that checks whether you have any Neanderthal DNA in you. The Neanderthals, as explained earlier, were the preceding species before humans and vanished around 40,000 years ago. Your ancestry report will tell you whether you have any Neanderthal DNA and how it measures up with that of other people. It isn’t exactly clear what it means if you have a high level of Neanderthal DNA in you. 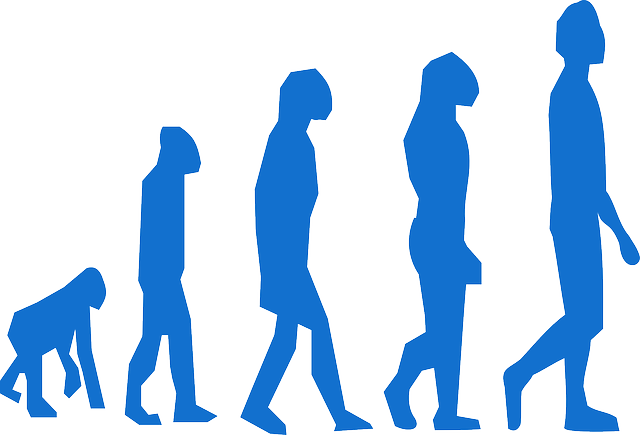 Scientists are only beginning to come up with a few theories about how this archaic DNA impacts modern man. 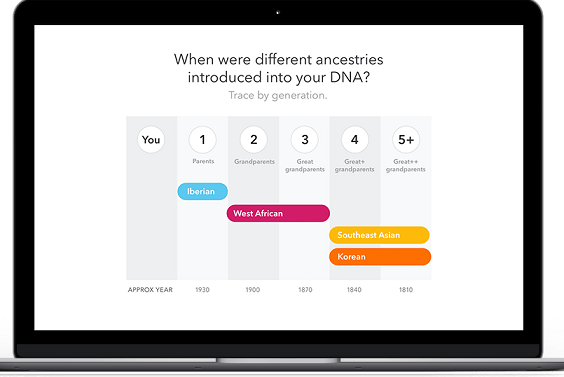 To learn more about the Ancestry portion of 23AndMe’s DNA test, see my in-depth review of it here.